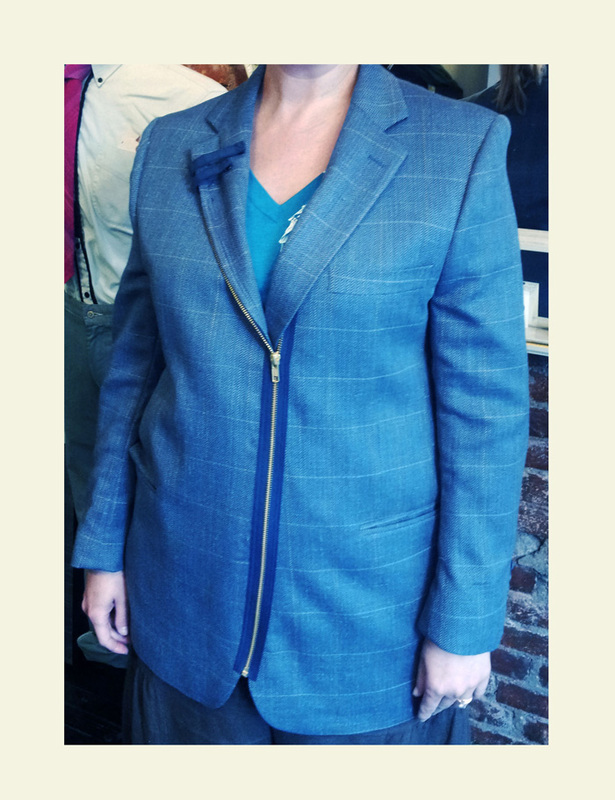 Jennifer had this coat from her father-in-law and wanted to revamp it into something she could wear. It was definitely boxy, which is too be expected with a men’s coat. She really liked my zipper jackets, so we decided to do just that. 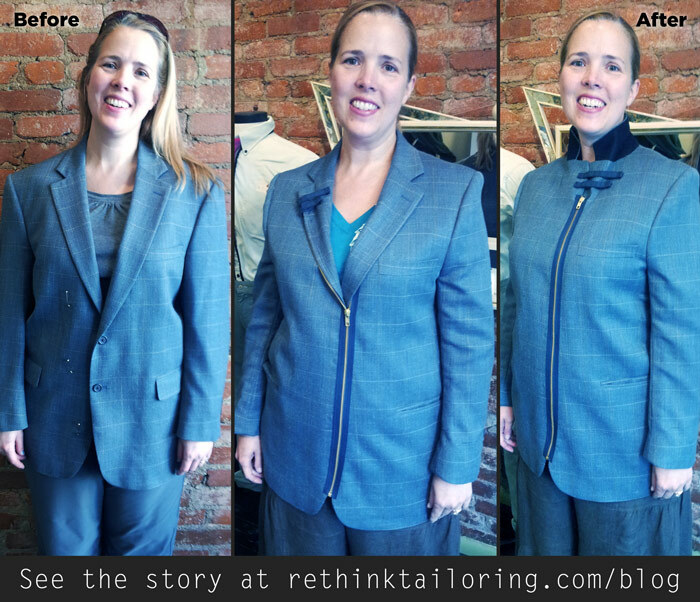 I worked my tailoring magic on the coat, and took in the waist, reset the shoulders, etc. For the final touch I set the exposed zipper and the stripes that make the coat convertable–either wear the collar zipped up all the way and the stripes snap across, or wear the collar flipped down and the stripes snap around the collar.